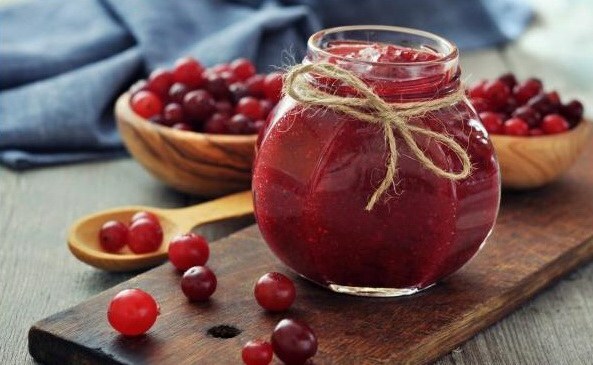 Even if the jam used the best fruits and berries, it can deteriorate due to various reasons: lack of sugar, non-sterile storage conditions and so on. However, sour jam is to revive, if you cook it again. If you notice that the jam is beginning to wander and podcast, you need to cook it a second time with added sugar. For every kilogram of jam additionally take 500 grams of sugar. Move the jam from the jar into a container for boiling, add sugar, 1 teaspoon of soda and cook on medium or low heat until until the mixture thickens and begins to stand out foam. Once the foam ceases to form on the surface, remove jam from heat. If the jam is covered with mold, the bad part remove with a spoon and discard. Do this immediately as soon as you notice white spots of mold on the surface. Now, add for every kilogram of jam and a pound of sugar to digest. Cool jam. Then put on the stove and bring to a boil. This can help prevent the appearance of mold in the future. Jam usually sour from lack of sugar during the initial cooking. In addition, the berry can deteriorate if after cooking you spread the jam in a humid container. After sterilization be sure to wait until the banks dry out. Make sure that you have ready sterilized jars for jam. Follow the sterilization procedure traditionally over steam. To do this, put on the stove a pot of water. On top of the pan put a plastic grate. At the grill place glass jars bottom up. As the evaporation of water is released vapor, and the Bank is sterilized. In addition to the pots you can put on the plate of the iron kettle with water and set the jar in the hole of the kettle. Or you can buy a special device for sterilization of cans. It is mounted on top of the kettle. The device consists of an iron plate, which hole is perfect to set the jar. If jam sugar, it should also be digest. In this case, for every kilogram of jam, add one Cup of water. Cook the mixture until then, until it boils. Remove the jam from heat. When it has cooled, place it in a sterilized jar and roll up. There are special measures to prevent the sugared jam. During cooking add one tablespoon of powdered citric acid. In jam from sour berries to add acid on a knife tip. In addition, to prevent sugaring jam, add for every kilogram of sugar spoon of glycerin.